4) The Seas with Nemo and Friends – Another incredible attraction can also be found in Epcot’s World Showcase and it tends to be overlooked by many guests making it the perfect experience to enjoy on a crowded day in Epcot. 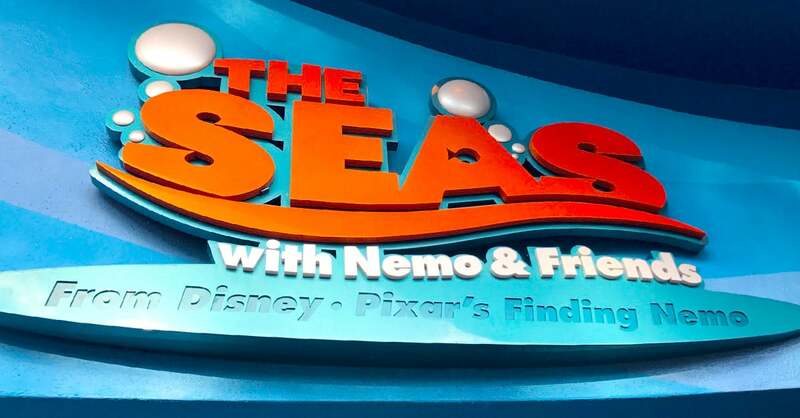 The Seas with Nemo and Friends is a fun attraction located in a pavilion of the same name. Just after entering inside, guests find themselves under the water and ready to set off on an epic adventure with Nemo and friends. After boarding pink clams shells, guests can enjoy the classic story of Finding Nemo and watch as Marlin and Dory set out across the ocean to find Nemo. Along the way guests can spot other favorite character like Bruce and Mr. Ray and ride the Eastern Australian Current with Crush, Squirt, and the other turtles. The wonderful finale of The Seas with Nemo and Friends brings guests to a series of windows into the pavilion’s aquarium, where they can enjoy beautiful marine life swimming alongside the characters from Finding Nemo and singing along to the song “Big Blue World.” The Seas with Nemo and Friends is a great attraction to enjoy on a crowded day in Epcot and guests can then go out and explore the exhibits and habitats that the pavilion has to offer after enjoying the attraction!